The scientific consensus is that dogs evolved from some kind of extinct wolf 15,000 or more years ago. Most researchers now think that it wasn’t a case of snatching a pup from a den, but of some wolves spending more time around people to feed on the hunters’ leftovers. Gradually some of these wolves became less afraid of people, and they could get closer and eat more and have more puppies, which carried whatever DNA made the wolves less fearful. That repeated itself generation after generation until the wolves evolved to be, in non-scientific terms, friendly. Those were the first dogs. 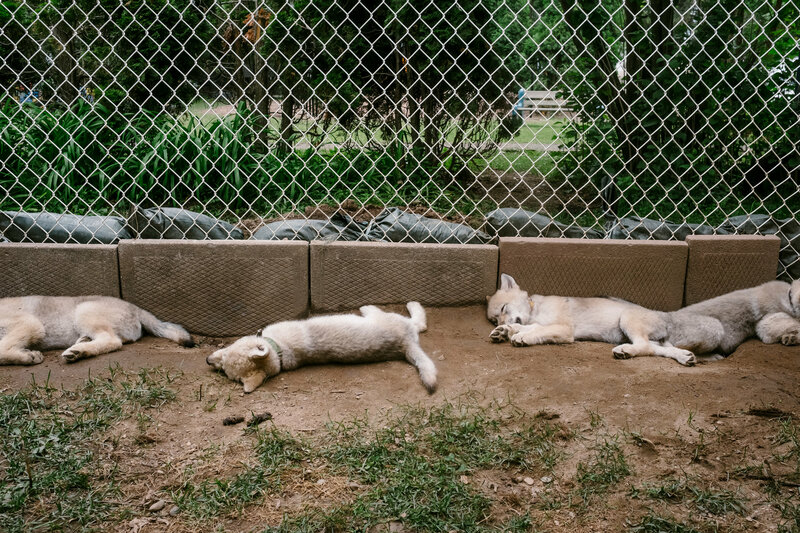 Wolf pups at Wolf Park, a 65-acre zoo and research facility in Battle Ground, Ind., in July. Though wolves and dogs are extremely similar genetically, their behaviors are very different — and scientists seek to find out why. 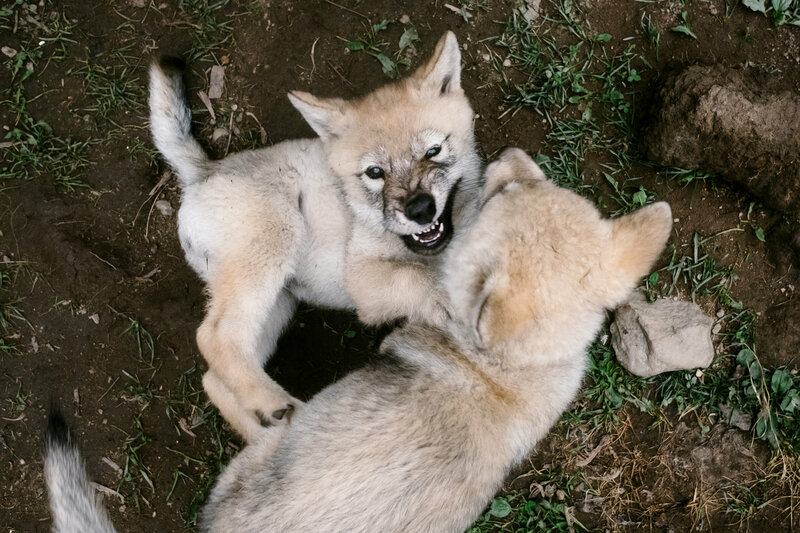 Wolf pups at play at Zoo Académie. Researchers wonder whether a delay in social development in a dog’s early life could explain the difference between wolves and dogs, and they’re looking to DNA for the answer. Dr. Genereux, right, and Ms. Koltookian at the Zoo Académie. Dr. Genereux, right, and Ms. Koltookian with the wolf pups. The researchers say the odds of being able to pin down genetically the critical shift from helplessness in infancy to being able to explore the world around them are long, but still worth pursuing. The other is whether fear and sociability in dogs are related to the same emotions and behaviors in humans. If so, learning about dogs could provide insights into some human conditions in which social interaction is affected, like autism, or Williams syndrome, or schizophrenia. 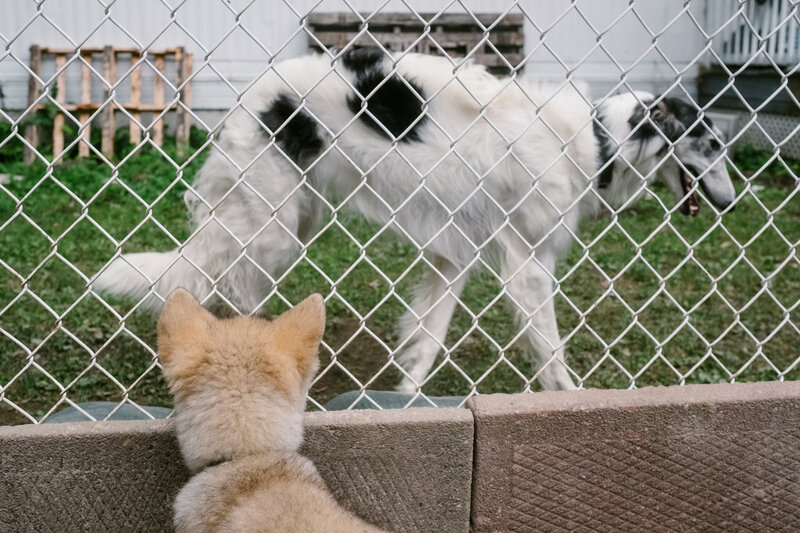 A wolf pup, inside a pen, observing a borzoi outside at the Zoo Académie. 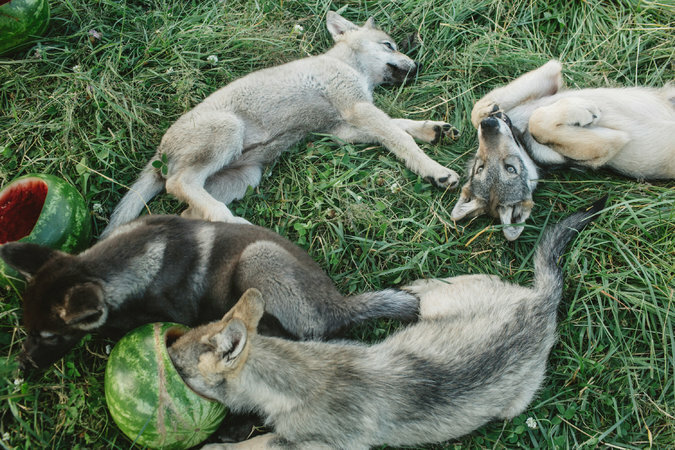 The critical exploratory phase for wolves is thought to start at about two weeks, when wolf pups are still deaf and blind — scent is their primary sense. With dogs, that period begins at about four weeks, when they can see, smell and hear. 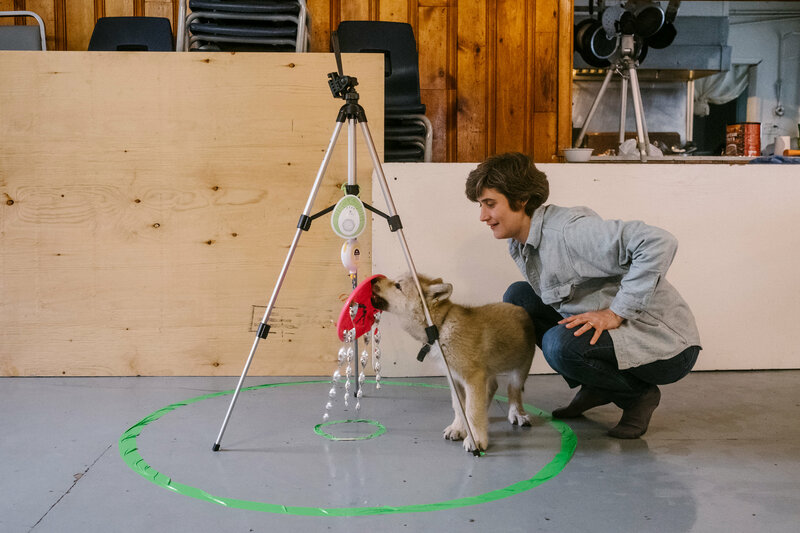 Dr. Lord letting an eight-week-old wolf pup investigate the jiggly monster testing contraption she devised. Timber, a mother of some of the pups at Wolf Park in Indiana. In the 1970s, Ms. Goodmann worked with Erich Klinghammer, the founder of Wolf Park, to develop the 24/7 model for socializing wolf puppies, exposing them to humans and then also to other wolves, so they could relate to their own kind but accept the presence and attention of humans, even intrusive ones like veterinarians. The puppies were extremely friendly with the volunteers they knew and mildly friendly with me. The adult wolves I met were also courteous, but remote. Two older males, Wotan and Wolfgang, each licked me once and walked away. Timber, the mother of some of the pups, and tiny at 50 pounds, also investigated me and then retired to a platform nearby. Pat Goodmann, the senior animal curator at Wolf Park. 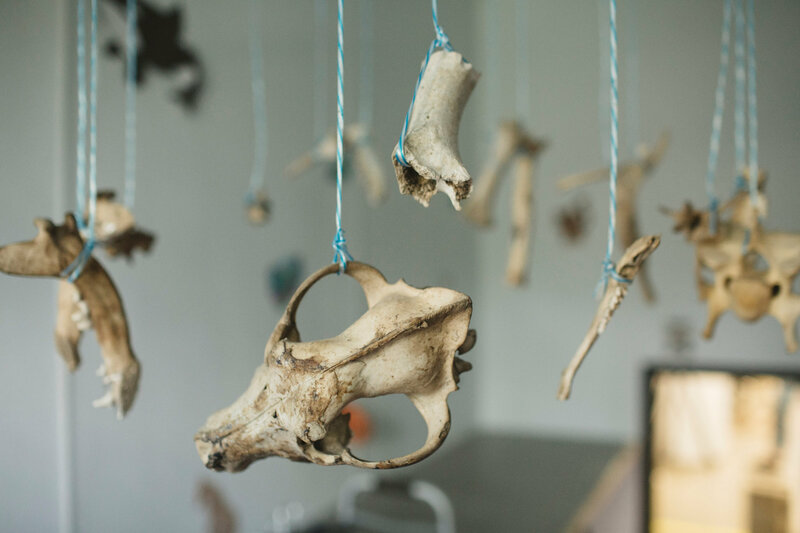 A mobile of animal bones hangs over the nursery where pups at Wolf Park live until aged 5-6 weeks. 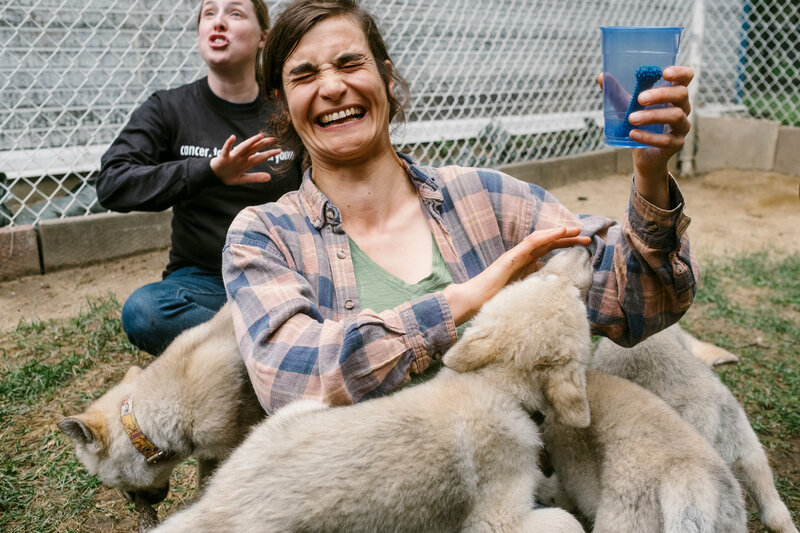 Dana Drenzek, manager of Wolf Park, with a pup. 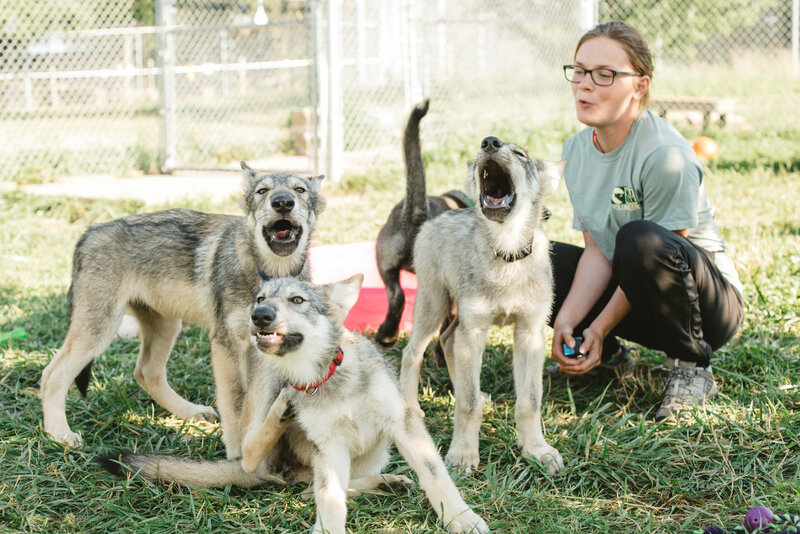 Haley Gorenflo, a volunteer at Wolf Park, howling with adolescent wolves. From there he went on to study wild wolves on Isle Royale in Michigan, and then to work with L. David Mech, a pioneering wolf biologist who is a senior scientist with the U.S. Geological Survey and an adjunct professor at the University of Minnesota. Eventually, he went to Yellowstone to work on restoring wolves to the park. Dozing at Zoo Académie in Quebec. Territorial species, like gray wolves living in Yellowstone National Park, will often fight if they encounter a neighboring group. Observational research over the course of 20 years has allowed scientists in Yellowstone to examine the roles of each individual in a wolf pack during these fights over territory and resources. They have discovered that old wolves are the most important in pack versus pack fights as the experience and leadership provided by an old wolf often allows a pack to win even if they are outnumbered. – Murie, Adolph. 1944. The Wolves of Mount McKinley. University of Washington Press. It was 1940 and Adolph Murie was hired to record data on wolves and Dall sheep in Denali National Park (then called Mount McKinley). Murie followed one pack closely for several years, watching them raise pups, hunt prey, and even chase and attack intruding wolves. His field notes may have been the first time in history these territorial, aggressive accounts were written down. I like to imagine this consummate observer and naturalist would be happy to hear the work he began nearly 80 years ago has continued with the return of the wolf to Yellowstone National Park. Since the reintroduction of gray wolves to Yellowstone 20 years ago scientists have been gathering data on survival and reproduction, mortality and hunting. But one thing biologists didn’t really expect when wolves were brought back to Yellowstone following a 70-year absence was their consistent visibility. Wide open valleys with abundant elk and plowed roads, combined with a decent scope or pair of binoculars, now provides visitors and scientists views of wolf behavior rarely seen elsewhere. Biologists have long known wolves are territorial and have noted the difference between the amiable way wolves treat pack mates, usually their close family members, and the aggression they show neighboring, rival packs. When a wolf was found dead researchers pieced together clues from tracks, often concluding that a pack-vs-pack fight had occurred. In Yellowstone those interactions have been observed and recorded for two decades and play a decidedly influential role in the lives of gray wolves, accounting for two-thirds of natural mortality. Besides the effects these territorial fights have on individual survival, they likely have long-term effects on reproduction, pack persistence, and the redistribution of resources based on which packs are able to consistently defeat their opponents. But what allows one pack to win over a rival? Is it just a numbers game with larger packs always winning out over smaller ones? Do resident packs enjoy a home field advantage? Or is there some compositional factor? Are packs with more of a certain type of wolf, say a large male wolf in his prime, more likely to win? Observational research, like Murie’s, was the only way to find out. It was 10 a.m. but the mid-morning sun was just barely cresting the eastern ridge. I’d been alternately huddling for warmth in my layers of down and stomping around the small dirt trailhead trying to keep feeling in my toes for over two hours. Watching as the western slopes lit and warmed, I beheld nature’s visual timepiece, anticipating the blanket of sunlight edging temperatures into positive degrees. I was tracking the Slough Creek wolf pack by listening for pings on the radio receiver, indicating one of the collared wolves was nearby. Finally I saw them travelling up out of the Yellowstone River corridor, their thick winter coats shedding river ice, keeping them a lot warmer than me and definitely not worrying themselves over the speed of the sunrise that morning. The seven figures followed in each other’s footsteps, noses to the ground. They gathered around one area, and judging by their quickly rising tails and hackles, it was the fresh scent of rival wolves. The alpha male took off running to the north, the five pack females and a yearling male following quickly. Intrigued by the wolves’ behavior, I tuned the receiver to test the signals for other packs. Sure enough, loud beeps from a Druid Peak pack wolf rang out—they must be close by, too. I looked back in the scope and watched the Slough Creek pack running hard now, the dark black alpha male in the lead. Scanning ahead of them about 400 meters I saw five members of the Druid Peak pack. They glanced at each other and began their own charge, tails like flags, straight at their opponents. The distance closed rapidly and all of a sudden it was chaos. The Slough alpha male slammed his body into a Druid wolf but when another grabbed his neck and shook violently he broke loose and ran out of the fray. The Slough females followed the male’s wake but finding themselves in the midsts of four huge male Druid wolves, tucked tails and ran. Two of the Sloughs turned around and hopped briefly onto their hind legs, trying to figure out who was a pack mate and who was not. The Druid wolves stayed in a solitary unit, chasing and spreading out the Slough wolves for several minutes, keeping them from joining together. As the commotion died down, the Slough wolves started to bark-howl from all angles. They were lost and separated, not sure where to go for fear of running into the Druids again. Eventually the tension dissipated and the Druids relaxed. The Sloughs wandered in several small groups, separated by miles of mountainside. Even though the Sloughs outnumbered the Druids, they had lost; completely displaced from the fight location—firmly in Slough Creek pack territory. And as it turned out, this encounter would be the prime example of what characteristics are important to a pack during successful inter-pack interactions. The first important factor, the only one in the Slough’s favor, was pack size. 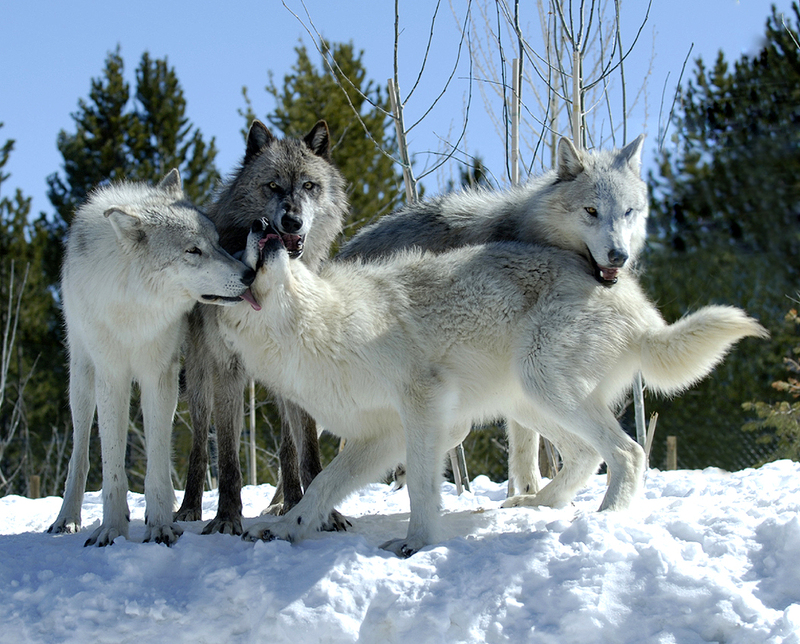 Having one more wolf than an opponent increases a pack’s odds of winning by 140%. Numerical assessment studies have found this same pattern in many social species from chimpanzees to African lions to mongooses. But for wolves, pack composition is also important. A pack with one more adult male enjoys a 65% increase in win odds. Adult male wolves are 20% larger and more muscular than females; they are built for fighting and protecting territory and resources. The Druids had the advantage here with two adult males more than the Sloughs (4 to 2). A home-field advantage doesn’t exist for wolves. Even intruders can compete with residents if they have the numbers or those valuable individuals present. But the most influential factor was the presence of old wolves (>6 years old). A pack with one old wolf more than an opponent had 150% greater odds of winning—making it more important than pack size. As the Druids exemplified (they had one more old adult than the Sloughs), they won despite being outnumbered. Old adults are nowhere near the fastest or the strongest but what they do have is experience. They’ve encountered competitors many times. They’ve seen pack mates killed, and likely participated in killing a rival themselves. They may avoid a conflict they figure they can’t win—upping their success percentage. Leadership and experience make old wolves the most valuable individuals in the pack during aggressive encounters. These pack vs pack battles have gone on for thousands of years, contributing to the evolution of territoriality, aggression, and sociality in gray wolves. There have surely been occasional human witnesses to these episodes of truly wild nature: Homo sapiens during the Pleistocene, Lewis and Clark on the Corps of Discovery, and, of course, biologist Adolph Murie in 1940s Alaska. And now, in Yellowstone, we can all observe this instinctive yet advanced behavior exhibited by a complex, social species—a species with intelligence and a division of labor amongst group members, the goal to protect themselves, their resources, and each other. ANCHORAGE — Six conservation organizations want to stop hunting and trapping of a rare southeast Alaska wolf while the federal government decides whether the animals merit endangered species status. The groups asked Fish and Game Department Commissioner Sam Cotton on Thursday to preemptively close hunting and trapping seasons for Alexander Archipelago wolves, a southeast Alaska species that den in the root systems of large trees. They also asked the Federal Subsistence Board to close subsistence hunting and trapping, and the U.S. Forest Service to suspend logging and road-building for the Big Thorne timber sale on Prince of Wales Island, which will include old-growth forest. Greenpeace and the Center for Biological Diversity petitioned to list the wolves as endangered in August 2011. The estimated population in the mid-1990s was 250 to 350 animals. The estimated wolf population last fall was 89, the groups said, with no more than 159 and perhaps as few as 50 animals, according to the groups. That estimate was made before 29 wolves were legally harvested by hunters and trappers during the 2014-2015 hunting and trapping seasons. 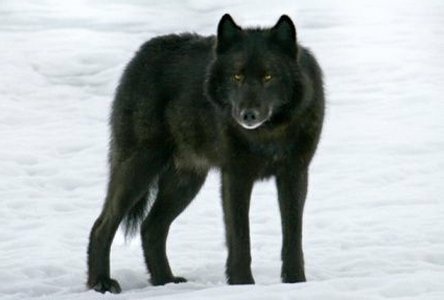 Alexander Archipelago wolves feed on Sitka black-tailed deer. The listing petition said large-scale logging fragments forests and reduces carrying capacity for deer. 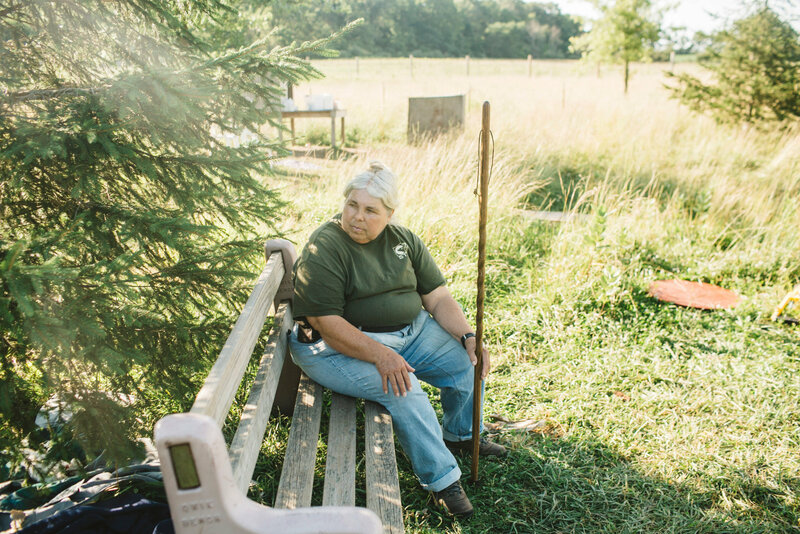 After a lawsuit last year claiming inaction by federal regulators, the U.S. Fish and Wildlife Service agreed in September to decide by late 2015 whether the wolves warrant endangered species protection. Bruce Dale, state director of wildlife conservation, was not immediately available for comment. The groups seeking the hunting and trapping suspensions include Cascadia Wildlands, Greenpeace, Center for Biological Diversity, Greater Southeast Alaska Conservation Community, The Boat Co., and Alaska Wildlife Alliance. Save the date for a picnic lunch on Saturday, December 5th. Why? Because you need a wolf kiss. Family-friendly pot luck social picnic for volunteers, supporters, and friends of the private facility wolf & wolfdog sanctuary. A guided tour will be provided. Event hosted by BE. Orlando; members, friends, and families of all groups in our Central Florida Coalition of Reason, Florida Humanist Association, and other secular communities network are welcome (with RSVP on this site). This event is free to attend, family friendly, and smoke free. A Picnic With a Purpose! 100% of proceeds through voluntary donations will support IHWN. Red Wolf and pups. Courtesy US Fish & Wildlife Service. Southeast US 07/25/15 wral.com: by Emery P. Dalesio – A revised population estimate puts the world’s only wild population of endangered red wolves at their lowest level since the late 1990s amid recent moves to protect the bigger, predatory relatives of dogs from hunters’ misdirected bullets. Once common in the Southeast, the red wolf had been considered extinct in the wild as of 1980 for reasons including hunting and lost habitat. In 1987, wildlife officials released captive-bred red wolves into the wilds of a federal tract in North Carolina. For years, the U.S. 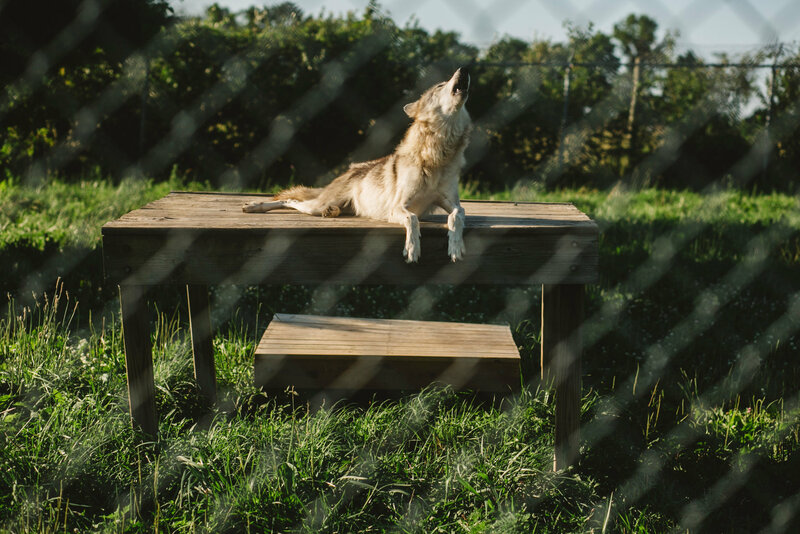 Fish and Wildlife Service estimated that about 100 wolves roamed the land in coastal Dare, Hyde, Washington, Tyrrell and Beaufortcounties and also drifted onto neighboring private property. Now the federal agency has drastically cut its population estimate to between 50 and 75 wild red wolves. 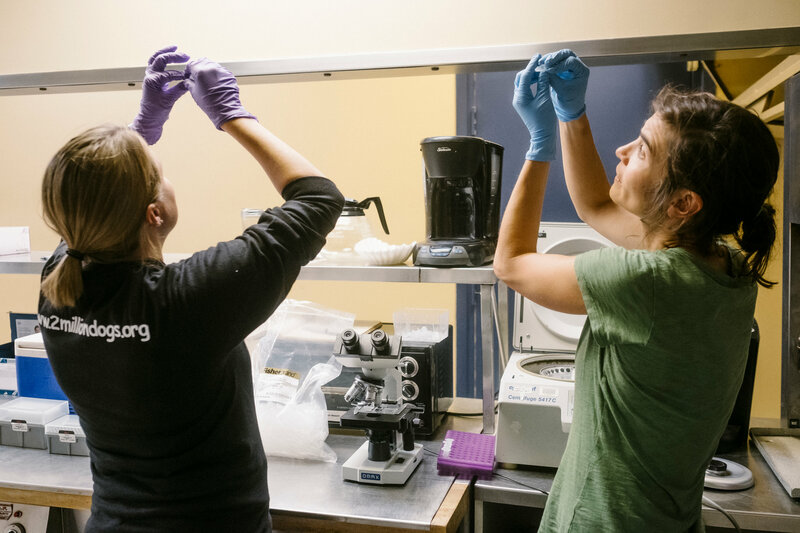 The revision was the result of fewer breeding adult wolves producing fewer babies to replace those animals that die, FWS supervisory wildlife biologist Rebecca Harrison said. “The decrease is a reflection of two years in a row of very low pup production in combination with the standing mortality,” Harrison said. While in the past wildlife officials have found 30 to 50 pups a year, last year 19 were found and this year only seven, Harrison said. The wolves breed a single litter of pups annually that are born in the spring.